Lawmakers in Kentucky are weighing whether to impose a new tax on opioid prescriptions, the latest effort in a string of so-far failed attempts to pull new revenue from the painkillers that helped seed a nationwide addiction crisis. The proposed tax — a 25-cent levy on drug distributors for every dose sent to the state — was approved by the Kentucky House Thursday as part of a broader budget and tax plan. But unlike in other states, where lawmakers aimed to steer the new revenue to addiction treatment and education programs, the Kentucky plan, if enacted, would direct the money to fill budget gaps elsewhere, including boosting funding for the state’s public schools. Still, the measure’s backers said that it could decrease the amount of pills coming into the state, which is among the hardest hit by the opioid epidemic. “We hope that pain pills will quit being dumped into this state at the level that they are,” said state Rep. Steven Rudy, a Republican who leads the House’s budget committee, according to WKYT. The tax plan also includes an increase in the cigarette tax. Around the country, state and local officials have been ramping up their attacks on the players involved in supplying painkillers to people, from drug makers to pharmacy benefit managers to drug distributors. Dozens of cities, counties, and states have sued such companies, alleging that they flooded communities with painkillers that laid the groundwork for the addiction crisis, even as nonprescription opioids like heroin and illicit fentanyl are increasingly responsible for overdoses. But no state has enacted a specific tax on prescription painkillers, according to the National Conference of State Legislatures, despite plans being introduced in a dozen states. Some of the proposals, including those in California, Iowa, and New York, are still under consideration. Some of the plans stipulated that at least some of the revenue raised would go to fighting addiction. Bills in Alaska, Tennessee, Minnesota, and other states, for example, would or would have created treatment and education programs and funded drug courts. 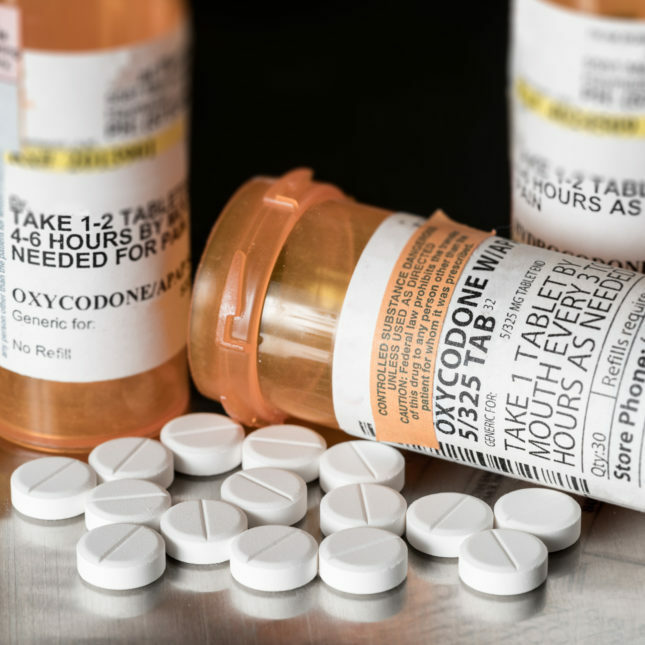 A 2017 bill in Kentucky would have also created a new opioid tax — funding, among other initiatives, treatment programs for babies born dependent on opioids — but it failed to pass, according to the NCSL. The Kentucky tax plan now moves to the state Senate, where it could be changed or rejected. The real tragedy has always been addiction! This proposed law does nothing to help those facing that very difficult medical problem. Instead it “goes after” a bogey man and consequentially also will harm people suffering from chronic intractable pain who are able to find a modicum of relief from the medication that is already too expensive. This is the making of a new prohibition and the creation of a new underclass. This is yet again a horrible idea by the government that will only serve to make worse the opioid epidemic. First off the real opioid epidemic didn’t begin when pain medicine was made easily obtained. It truly became an epidemic when the government stepped in and made treatments that chronic pain patients were depending on to be able to maintain somewhat of a normal life while suffering with debilitating chronic pain issues. Especially in the labor industries that involve hard physical labor. Sure there was a spike in the numbers of people receiving a prescription, but the overdoses were not as wide spread as the politicians made it out to be. Not if you only count those who died from an actual overdose and ONLY had say oxycodone in their system. Most of the deaths involved people who had a number of substances in their systems both prescription medications and illicit street drugs, nerve pills such as Xanax, or alcohol. The real epidemic started once the government systematically went through and closed down all those clinics and left hundreds of thousands of already desperate people without the treatments they had come to rely on both psychologically and physically. Without it they could not function and be productive. The alternative was either continue through self medication or lose their ability to get up and go to work in the morning or play with their children or anything else resembling a normal life. Since now the only place to find the treatment they needed was on the black market at much much higher prices many of them fell into financial ruin complicated further by the fact that they now fell in the wrong side of the law both literally and in their employment status as now the medication that once enabled them to continue working at a productive rate is considered a breach of policy as they can only have those medicines in their system with a legal prescription which the war on the Drs made itessentially impossible to be. Therefore many lost jobs do to the draconian policies. Once the prescription medications became obsolete the overdoses sky rocketed as many had to settle for medications that were not regulated often turning out to be fake knock offs of what they were used to taking and thought they were buying turned out to be fentynol made to look like a relatively weak oxycodone pill that ends up killing them. Or having to buy heroin as no pain pill could be found at an affordable price where heroin was the much more affordable choice only to produce the same risks. Fentynol laced knockoffs that one day a certain dose does the trick and they’re getting work done feeling normal and the next day the same dose is some fentynol variant that kills them. Now Kentucky wants to tax the prescriptions. What’s that going to accomplish? It’s going to cause the people receiving those medicines to have to figure out how to pay for their medicine that is already outrageously priced in the first place and many places won’t accept insurance and insurances following the trends and not covering it anyways so it’s often paid out of pocket. When the price to feel normal and ability to keep working hard labor jobs becomes more expensive than the job pays many find the solution in the temptation to sell part of the script to cover the cost of the Dr visit and cost of filling them. This will result in more opiates on the streets not less. And if you don’t believe me go check out the statistics on opioid related deaths from the early 2000’s when their was a pain clinic on every corner compared with the overdose rates starting about five or six years ago when they started shutting down all the clinics and throwing Drs in jail. The “epidemic” began when they closed down everyone’s Drs and left no alternative BUT the sketchy black market. People who are suffering aren’t worried about the law. They know what worked for them and they’re not going to spend the rest of their years laying in bed unable to function. For many it’s a risk worth taking to fucntion normally. Unfortunately the government took the safer regulated Dr option away and left them finding relief from the local drug dealer. But it’s always a fifty fifty chance if it’s what they’re user to and going to have another good day with the family or some fentynol knock off and kill them. Not to mention now there’s needles on every side walk and hep-c and other blood born diseases epidemic where many have turned to shooting heroin as a cheaper more effective way to get the relief they need. When they could get a legal prescription from a certified Dr they knew their limits and that Everytime they took a dose of their medicine it was going to be five milagrams of oxycodone and nothing else. Look at the stats and especially pay attention to the overdoses that were ONLY oxycodone in the system of people ten years ago who died and not just someone who was simply a drug addict who was taking a little bit of everything. The highest numbers started when all the so called pillmills shut down. They haven’t gone down since those closed they skyrocketed to the actual epidemic we have today. It’s because of all this regulation that there’s been an epidemic. It’s not the solution it’s the cause.